Ships today if you order in the next 5 hours 26 minutes. Maintaining a healthy gut doesn't have to mean swallowing capsules. 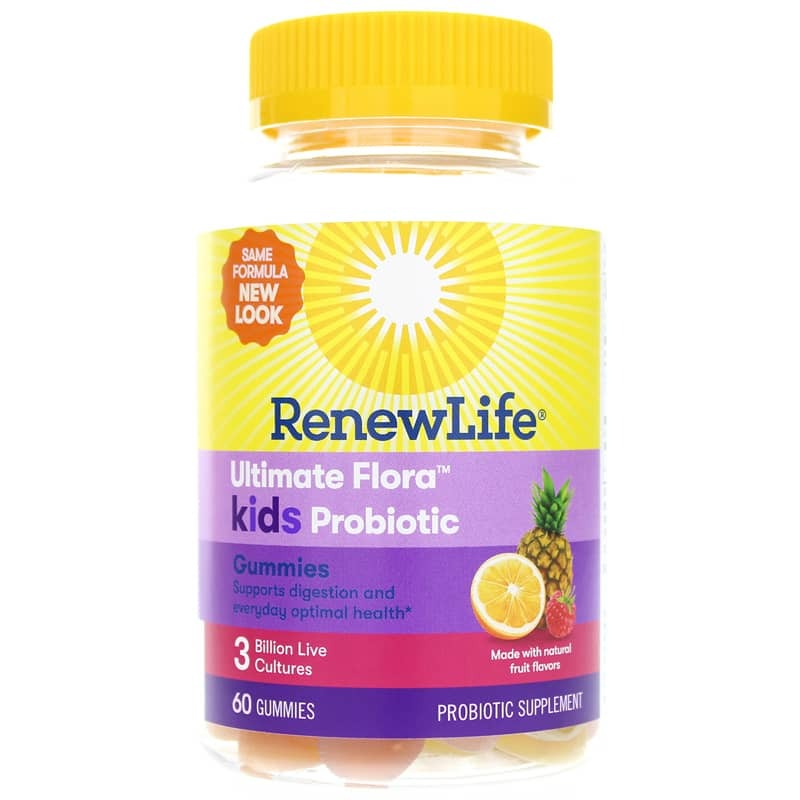 Renew Life offers an easier option in their Ultimate Flora Kids Probiotic Gummies. 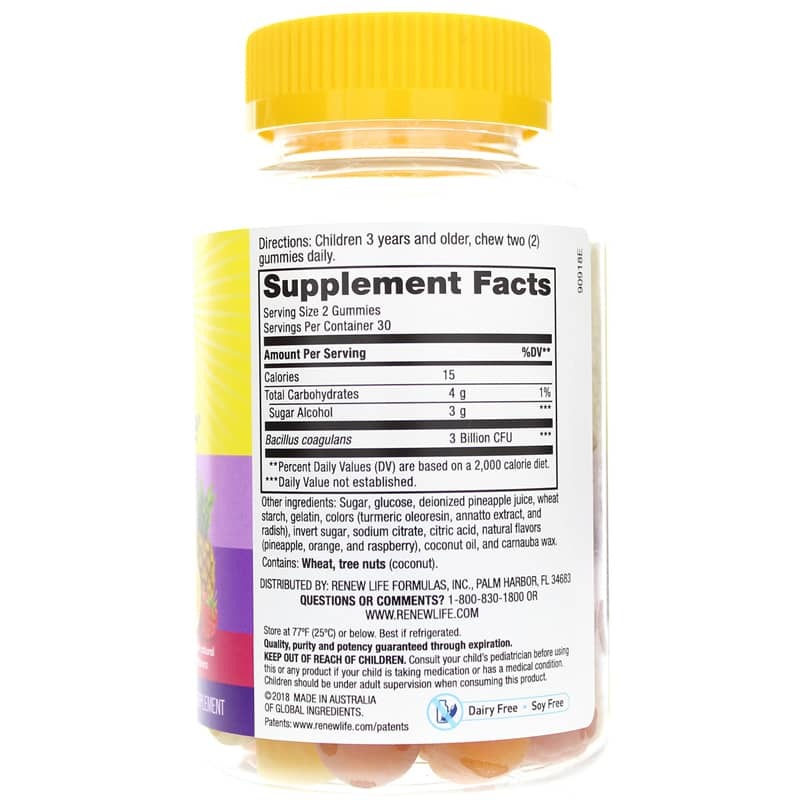 Made to support optimal microflora balance and intestinal health, these probiotics come in easy-to-chew gummies that are great for kids. 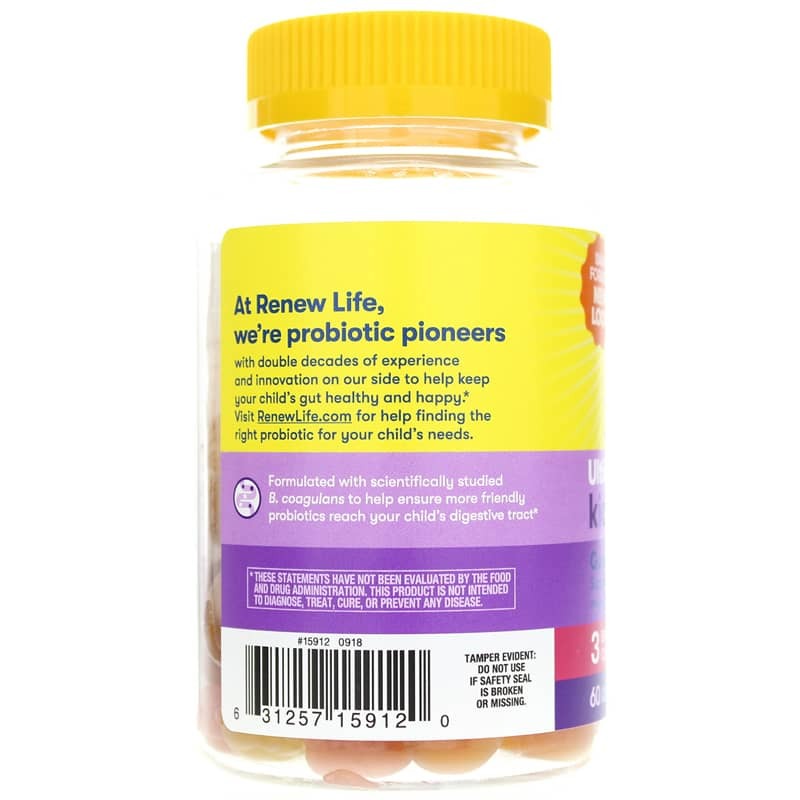 Ultimate Flora Probiotic gummies from Renew Life are made without the dairy or soy. They contain no sorbitol and are made with all-natural fruit juice for a natural fruit flavor everyone will love. Make the right choice to take care of your gut health. Choose Ultimate Flora Probiotic Gummies today, and see the difference they may be able to make for you. Order now! Other Ingredients: deionized pineapple juice, glucose, sugar, starch, gelatin invert sugar, sodium citrate, citric acid, natural colors (turmeric, annatto and radish), natural flavors (pineapple, orange and raspberry), coconut oil and carnauba wax. Contains wheat, tree nuts (coconut). Children 2 years of age and older: chew two gummies daily. Not for children under 2 years of age due to the risk of choking. Consult your healthcare professional before using this or any product if your child is taking medication or has a medical condition. Children should be under adult supervision when consuming this product. Keep out of the reach of children.